It wasn’t yet Halloween, but the atmosphere was one of revelry in unusual dress. New York City’s leading real estate professionals gathered last week on the night of Oct. 27 to celebrate a year of deal-making at the Real Estate Board of New York’s (REBNY) 29th annual Deal of the Year Charity and Awards Gala at Metropolitan West in Manhattan. The theme was “Go West,” a reference to the event’s relative location on the island. Donning Western shirts and cowboy boots so blinged out in rhinestone that Glen Campbell would have been jealous – the party was on Manhattan’s westside afterall, and three Avenues from a subway so it really felt like we were in an 1880s unincorporated territory – New York’s City’s top realtors ate, drank and hoot-and-hollered for their peers. The evening raised funds for REBNY’s “Member in Need Fund,” which provides grants to residential brokerage members who are experiencing a financial crisis or hardship, as well as the Hispanic Federation’s hurricane relief fund for Hurricane Maria victims in Puerto Rico. Taking home the award for residential agent of the year was Joanna Mayfield Marks, a 20-year industry veteran and Halstead Property’s 2016 Top Agent of the Year for all of Brooklyn. The award recognizes the sales agent or associate broker who has demonstrated a track record of professional skills, superior leadership competencies and high moral character. What distinguishes the award from the others is that nominations are made by colleagues from within companies and the industry at large. 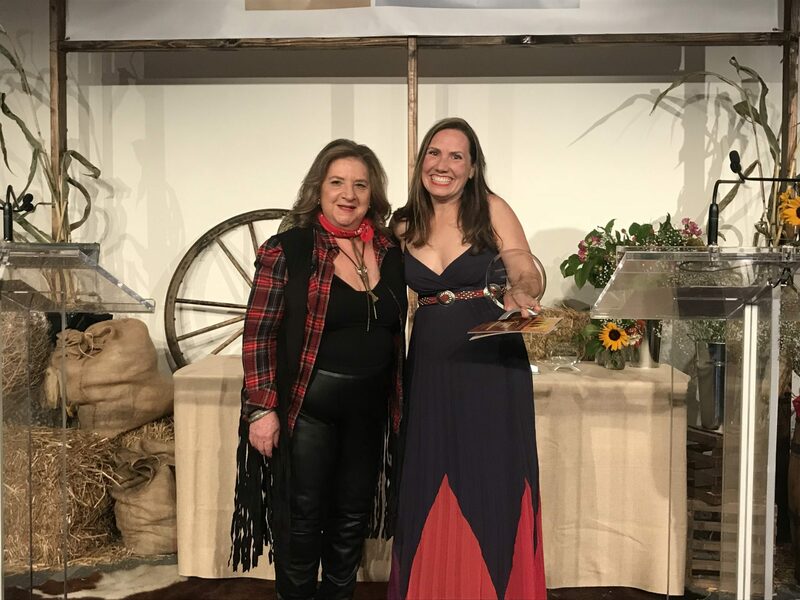 Mayfield Marks, who was lauded for her commitment to the her profession by the presenters, as well as her volunteer work, said she was, “shocked, amazed and excited,” after receiving the award. The award honoring both personal achievement and performance at the highest level for someone that’s been in the industry for less than two years went to Matt Martin, who only starting pursuing his dream career last February. When Martin was a kid growing up in Southern California, he developed an unusual passion for real estate. He even made a deal with his mom where he would accompany her to garage sales and she would take him to open houses. “Even as a kid he was an accomplished negotiator,” Barry Brandy, co-chair of REBNY’s membership committee, joked. After a successful 12-year career in finance, Martin’s charity work – raising over $100,000 for research in HIV and AIDS – put his career in perspective. He knew he needed to work a job where he could regain that human connection, so he followed his childhood passion into the industry. Henry Foster Lifetime Achievement Award: Elaine Dean, senior managing director of The Corcoran Group’s westside office. The 28th recipient of the Henry Foster Lifetime Achievement award was Elaine Dean, whose 30-year career in real estate started at the urging of her own broker. At the time, Dean was a teacher. . .
Dean is known around the industry as a mentor often helping other agents in the office and training in them in ethics and good values. She still teaches classes at The Corcoran Group on ethical brokerage practices and holds seminars on how to appropriately deal with difficult situations. She’s served on a number of committees at REBNY over the years and currently has a seat on the ethical and professional standards committee. “[Dean] is held in the highest regard by agents and managers in her own firm and throughout our industry,” Ruth McCoy, the recipient of the award last year and presenter, said. Eileen Spinola Award: Jeff Rothstein, executive manager of sales for Douglas Elliman’s Westside offices. The Eileen Spinola award is given annually to the REBNY agent who has made significant contributions to the community by volunteering time, lending expertise and by showing leadership in education, ethics and professional service. 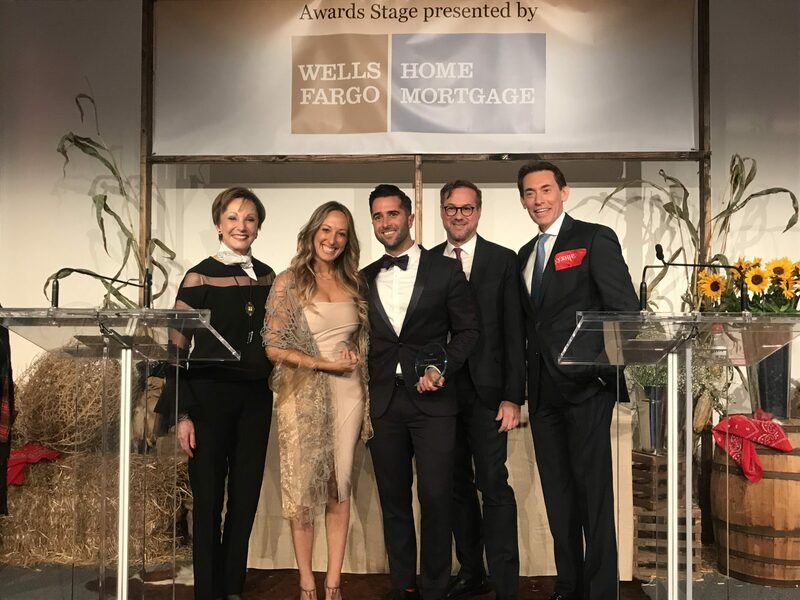 Jeff Rothstein, the award winner, is a broker who works for the betterment of not just his employer Douglas Elliman, but the industry as a whole, according to the award’s namesake and presenter. Deal of the Year: Carson Ferri-Grant of Halstead Property Queens and co-broker Rodolfo Cavallaro of Halstead Property Queens, LLC. This year’s deal of the year went to two agents who went above and beyond the normal call to find the perfect rental apartment for a woman that had spent the prior eight years hospitalized after a medical malpractice incident. With the money negotiated from the victim’s settlement, Ferri-Grant set out to find an apartment where the bathtub could be removed for the installation of a handicap shower and other kitchen upgrades could be made. There was only one very important caveat: it had to be in Queens near her parents. “The brokers began to scour the Queens neighborhood for a building that might accommodate a special needs tenant,” Rothstein, who was also a presenter at the event said. After a long search, they found a unit in a building where the landlord was amenable to the requested changes. However the tenant didn’t meet the income guidelines for the apartment. After negotiating with the landlord, they were able to get the tenant in a different unit in the building at a lower price than listed. Reba Miller and Julia Cole of RP Miller Realty Group, along with co-broker Charlie Attias of The Corcoran Group took home first place in the sale of the year categories among nearly 30 entries for assisting a French national in selling her New York City condo. The sale seemed like it would be simple enough with the retail tenant who lived below the seller as the most likely buyer. The brokers got pre-approval from the condo board, but then the retail tenant dragged their feet – at a time when the retail industry began to crater – which was the first hiccup. After securing another buyer – another French national who was interested in a quick close, all cash transaction – a title company unearthed a 10-year-old mortgage. But the mortgage and company were both fake, and she could prove the mortgage was paid. So the brokers, at the behest of the seller, were able to find in a storage locker – on a humid, 90 degree day no less – with French documents proving the mortgage was satisfied. After significant delays, once all the paperwork was in place, it took just 15 minutes to close. All in all, the event showed off the best that New York’s real estate community has to offer, and highlighted both the treats and tricks in the nation’s densest housing market.